The dress shirt, more than any other male garment, has served to distinguish a man’s wealth and social class. Up through the XIX century, a white shirt was considered the epitome of male elegance and functioned exactly like the modern T-shirt by keeping sweat away from the outer garments while protecting the body from the coarse outerwear materials. Nowadays a high-quality button-up shirt has changed its use but it still is a cornerstone of every man’s wardrobe, it’s in fact the most versatile garment you can own. We wear it under the jacket while at the office, we wear it outside our jeans or slacks at the weekend: the dress shirt is something that cannot be missing in our everyday wardrobe. You can easily dress it down with a blazer and a pair of chinos, or you can pair it with an elegant suit and tie for more formal occasions. There are shirts of infinite types, colours, fabrics, but most of the times it is difficult to find one that perfectly adapts to our style and our built. The standard shirts sold in shops are made to be worn by the majority of people, but even so it is very difficult that two people have the same circumference of the neck, chest, waist and hips. What does this mean? That if we choose to wear a standard shirt, we will have to adapt to the size range of the shirt, and adapt to own it looks on us. Fortunately, there is an alternative, and it’s easy and available to everyone: the tailoring. Here it’s explained why and how to choose a custom dress shirt. Especially custom shirts have become a major trend in recent years, not only for the absolute control they afford you over every aspect of the customisation, but also for the precise fit they offer to everyone. Tailored to your body rather than to ordinary on the rack garments (that are made to fit many and as a result, they fit no one perfectly), a custom shirt fits better than just about anything. Most men wear dress shirts that do not fit them properly forgetting that details do really matter. The shirt you wear, in the absence of a jacket, for example, is the most powerful signal you are using to non-verbally communicate with people around you. Your shirt, whether you like it or not, is speaking for you, so make sure it’s saying who you really are (or, at least, who you want to be)! 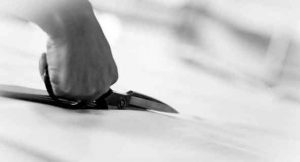 But let’s go into details and discover why, who, when, where and how to choose a custom dress shirt and what are its main features. What really means to wear a custom dress shirt can only be understood once tried. To wear a unique suit in the world, that was exclusively made for us, it’s really a priceless luxury. The advantages of choosing a custom dress men’s shirt are not only about the importance of wearing a shirt that fits us in the right way, following the lines of our body, and respecting our proportions, but takes in consideration the longevity and the value for money. Custom dress first of all means resistant, and resistant means lasting. 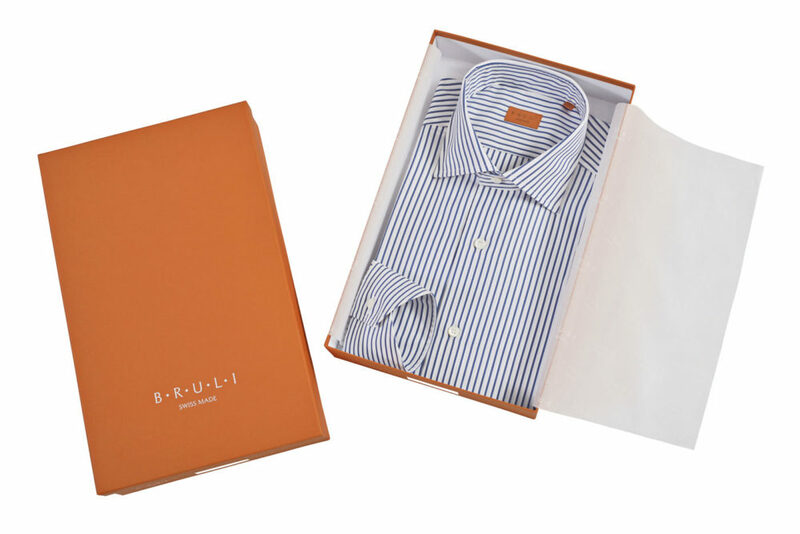 A shirt made following the tailoring tradition, using only Italian fabrics of premium quality, it is a shirt that resists to ripping, usage and can last in time. Last but not least, the style factor. 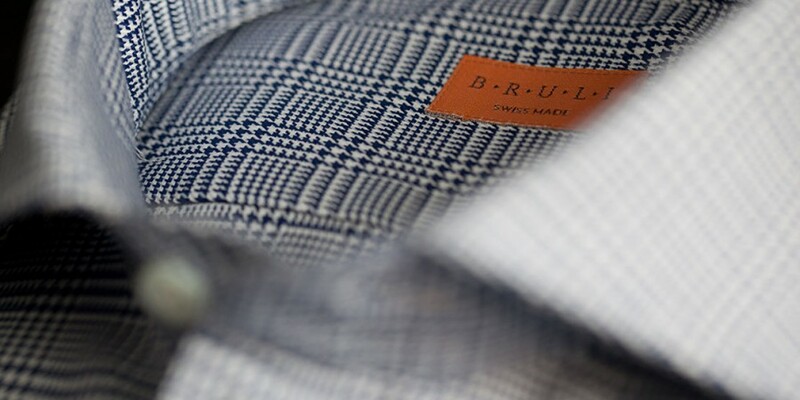 A custom dress shirt is made following our own tastes. You will be able to choose all the details: from the colour of the fabric to the pattern, from the shape of the collar to the cuffs, so to create a shirt that goes well with its use and our personal taste. For those who a have a standard built, custom dress often is a matter of taste and elegance, for all other men is a real necessity. There are those who have a bit of belly and would like to hide it, there are those who practise a lot of sport and need to underline their built, there are those who are very tall or short and would like a shirt that will add value to them. For all those who have specific characteristics, choosing a custom dress shirt means not having to give up appearing in their best shape in all occasions and wearing the perfect shirt. Starting by saying that wearing a custom dress shirt it is a pleasure that each one of us should be able to afford everyday, there are some recurring situations in which the dress code imposes an elegance beyond the usual standards. In the more private occasion like the day of the degree, our wedding or the one we are invited to or we are the best man, a romantic appointment, a banquet. Or for business occasions: a first job interview, a very important meeting, the day of our promotion, an elegant business dinner. How many times have we found ourselves looking for a suit? The day of the wedding who wouldn’t like to wear a custom dress shirt, choosing the best matching with special ties for ceremonies? Choosing a dress shirt appropriate for all the more formal occasion means knowing how to respect the etiquette (business and not only), but mostly it means choosing to present to the others the best version of ourselves. 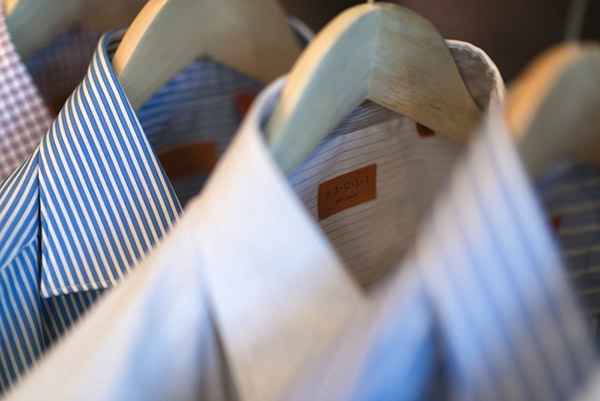 Choosing a custom dress shirt today is easier than you think. First of all you need to choose the fabric: colour, pattern, material and weave. Once you have chosen the fabric you can continue adding the various details, among which: neck, cuffs, buttons, chest pocket and embroiders. The last but not least passage is the one about taking the effective body measures.